Labs Inc. is the insurance engine behind tomorrow’s cloud-based, on-demand digital services ecosystems for the new economy. Through the Slice’s Insurance Cloud Services (ICS) platform, Slice is enabling insurers, technology companies, and other service providers to build truly intelligent and intuitive pay-as-you-go digital insurance products protecting the insured anytime and anywhere. 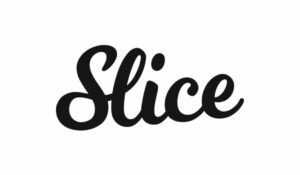 To stay up to date with Slice, visit http://www.slice.is and follow @SliceLabs on Twitter.